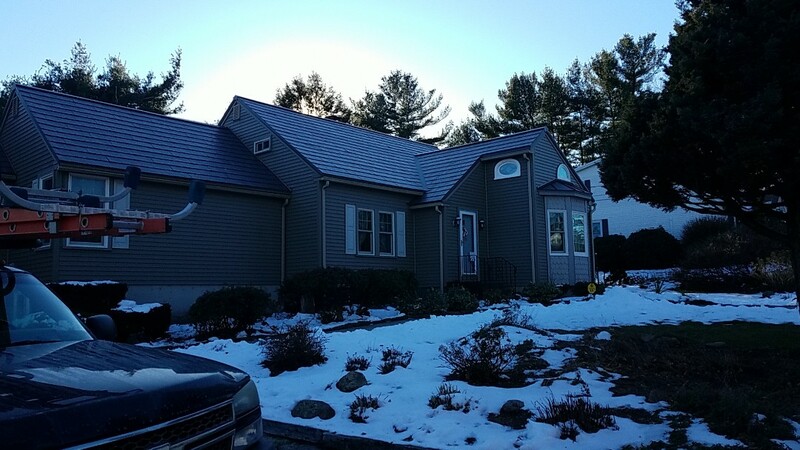 new metal roof is sure to offer you a great return value over its lifespan. 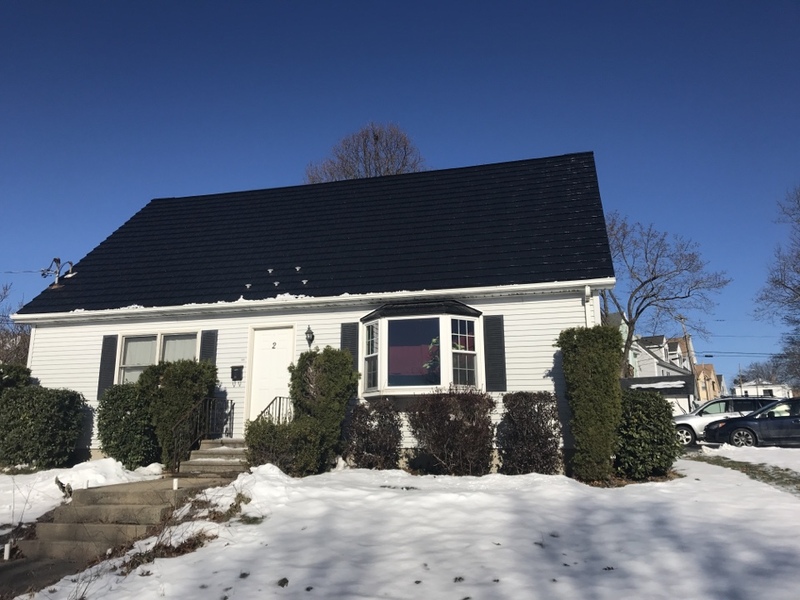 it a great investment for your Worcester, MA home. not require the repair and replacement that asphalt roofing typically does. check and clearing of debris. shrinking and can withstand the difficult weather conditions it may see. At Classic Metal Roofs our expert metal roofers would be happy to answer any questions! Contact us today at (866) 303-2002 our fill out our online form for a free quote! We love everything about the new roof. It's lovely, efficient, effective at keeping the water out of the ceilings, you know, all the things you'd ask for if you could have the perfect roof. The guys were fast, professional, and did a great job with a cleaned-up finish. 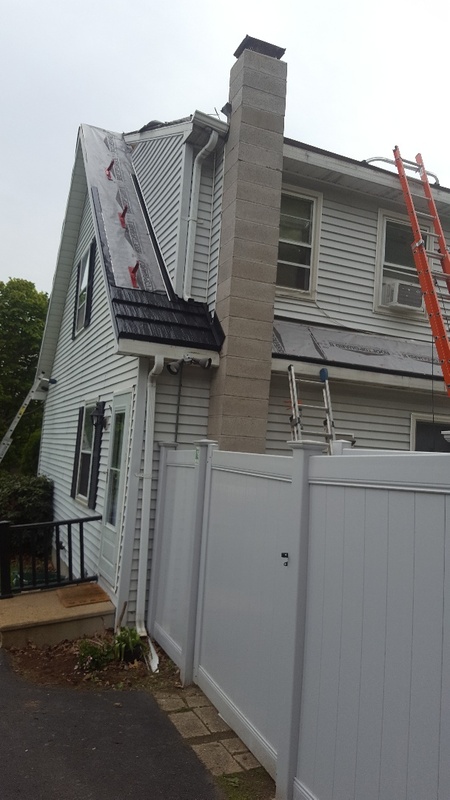 I highly recommend this company for the roof you want to do once and live with forever. 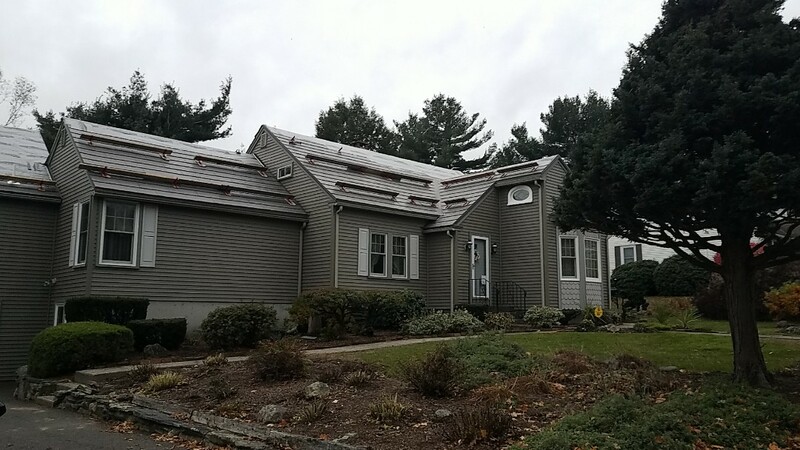 Beautiful rustic shale metal roof after second snow of the season! 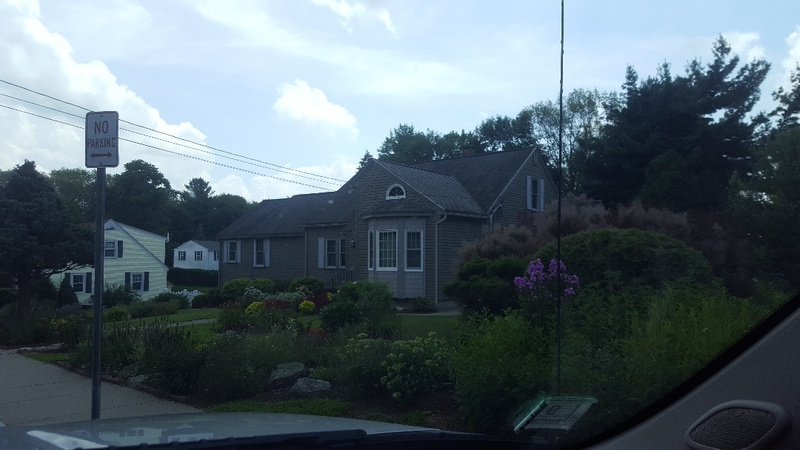 The Oxford slate aluminum shingle metal roof is being installed on this nicely maintained city home. We should have it done next week. If it stops raining that is. 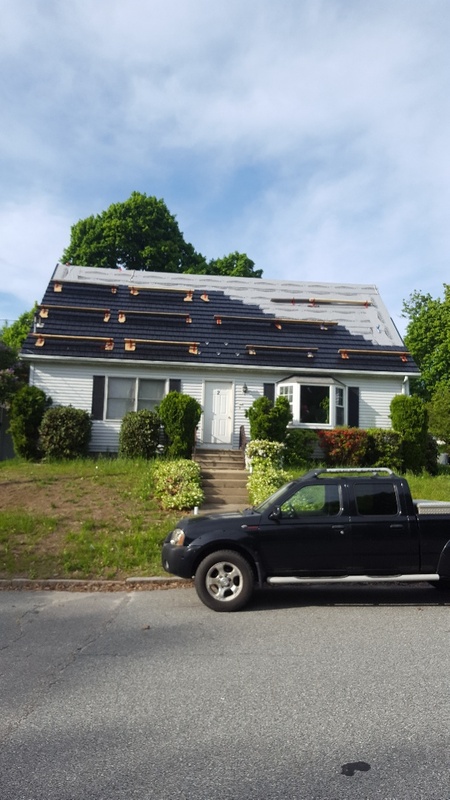 Providing estimate for new Oxford Slate aluminum roof. RUSTIC SHAKE in black just about done. New Project ! strip and install Rustic shake aluminum roof , just getting started.